Friday night and I am ready for a beer! 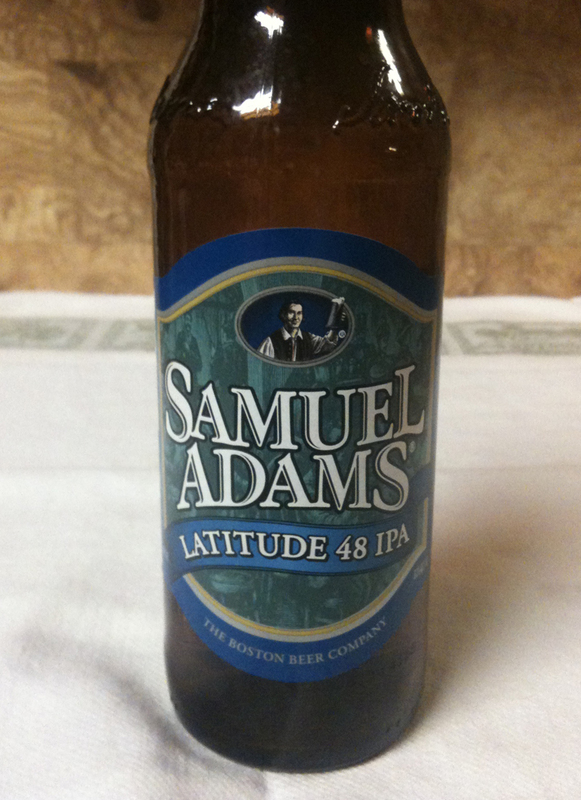 Tonight it will be a Samuel Adams Latitude 48 IPA from The Boston Beer Company. This one is a twelve ounce bottle and 6% ABV. Their web site lists IBUs at 60. 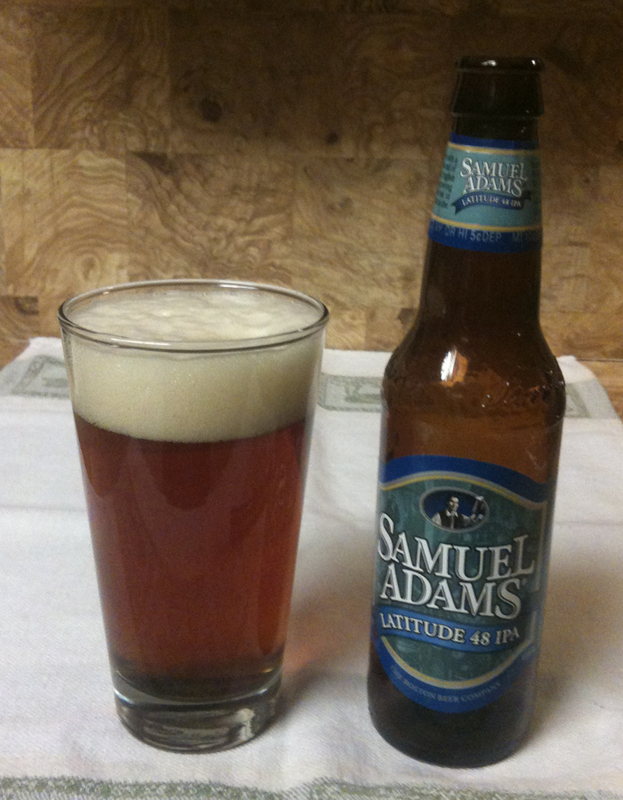 The Latitude 48 pours with a thick, foamy head. The color is that of a darker honey, with a touch of red. The aroma is fairly light and primarily of hops. The strength of flavor is somewhere in the medium range. Some hops, bitterness and a little citrus. Somewhat malty. I don't get much sweetness. The finish is a little light, or thin, but there is a nice bitter and malt aftertaste. This beer isn't overly complex on the IPA front, but it does have more flavor than some IPAs I have tried.